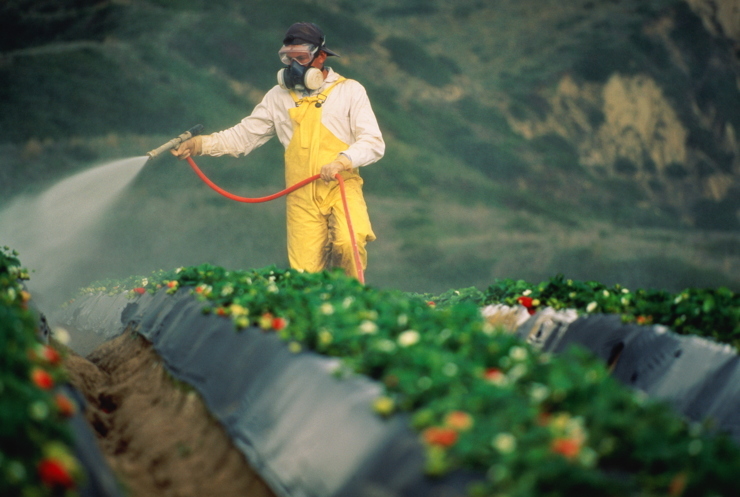 Home » Killing Us Softly—Glyphosate Herbicide or Genocide? One of the more bizarre actions in terms of the health and safety of EU citizens is the saga of Monsanto and its toxic herbicide or weed-killer, Roundup, the most widely used weed-killer on the planet. On October 25, 2017 the European Union Commission again announced that it lacked the necessary member state votes to approve a ten year license extension for weed-killer glyphosate. They will try again. Behind this seeming routine announcement is one of the hottest battles over food and human health the world has seen since the 1972 USA decision to ban spraying of deadly DDT pesticides on crops. This time the stakes go far beyond the ban on glyphosate. It affects the future of human fertility or lack of it. .
Isn’t that what eugenics advocates such as Bill Gates, George Soros, Warren Buffett, the Rockefeller family and more recently Britain’s Prince William are cheering for? Culling of the human herd so that the wealthy have more wildlife species?